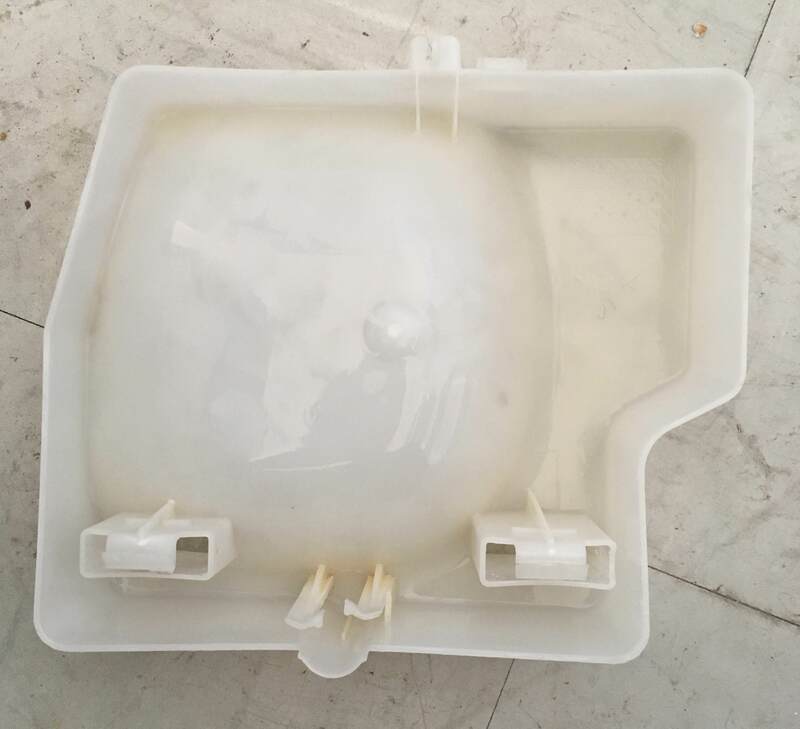 What is this plastic basin on the back of my fridge, and does it require any special care? While cleaning my kitchen and behind my fridge, I found this part on its back. It was filled with a moldy liquid that looked like water. I threw the liquid away and cleaned the part. I’ve added a bit of water back (not as much as it had) and put the part back in its place. I found the manual for a similar fridge model but I see no reference to the part. My question is what is this part for, and how should I take care of it? 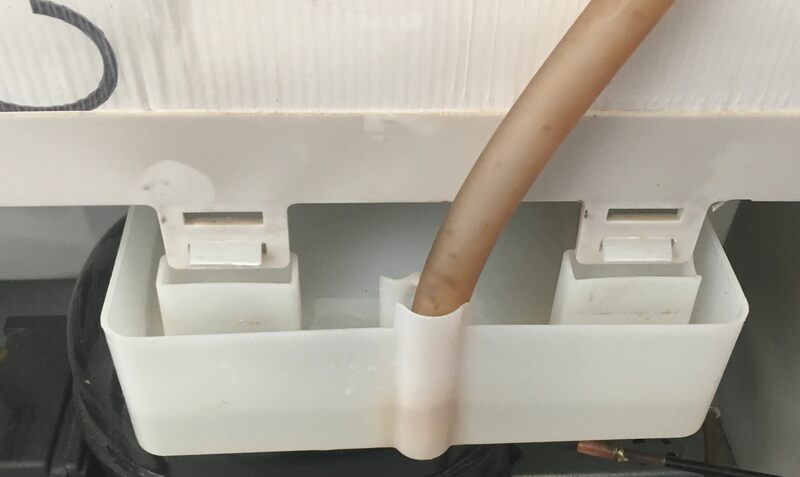 That is almost certainly the drip pan, and it is intended to catch condensation flowing from the condensation/defrost drains in the fridge/freezer. This water should just evaporate into the surrounding air over time. Cleaning it occasionally is not a bad idea, but it is not necessary to 'replace' any of the water you may find in it.